"This place has been the best by far. The staff is efficient yet thorough." "Dr. Gidden is very informative." "Dr. Giddens is one brightest and nicest MD's in Fremont." "Doctor Giddens is the best doctor ever. My kids won't go to any other doctor." "Superb community clinic run by great physicians. Staff is very friendly and skilled." "Went in for a DOT physical and this place has been the best by far." "This is the best place ever"
"I would definitely come back to this Urgent Care if need be!!" "VERY GOOD SERVICE WITH QUALIFIED SPANISH SPEAKING"
"The staff is efficient yet thorough. I was in and out fast without an appointment." At Fremont Urgent Care Center we believe that serving, caring and healing are why we are here. 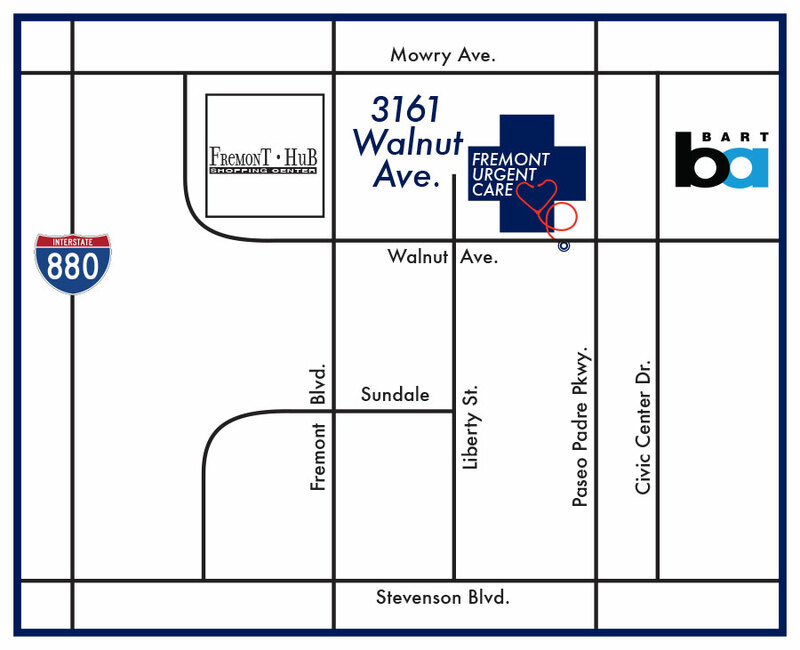 Fremont Urgent Care was established in 1984, to make medical care affordable and accessible to the residents in Fremont and surrounding areas. We continue to strive for excellence in healthcare, doing our best so that every patient feels they are receiving individualized medical care. Our clinician team is led by owner and Medical Director, John Giddens, M.D. Julia Nyquist, MD, and Veronica Caballero, a certified physician assistant are also full time providers. In addition, we have three part time physicians who assist on a weekly basis, so we can offer healthcare to the community seven days a week. Our team brings their skill and compassion to people of all ages, from pediatrics to geriatrics. In addition to offering Urgent Care, we work closely with employers in the area to care for their injured workers. The complex world of workers’ compensation is not for the inexperienced clinician. A clinic that understands the administrative complexity of the workers’ compensation system, can make a huge difference for a patient recovering from a work injury. 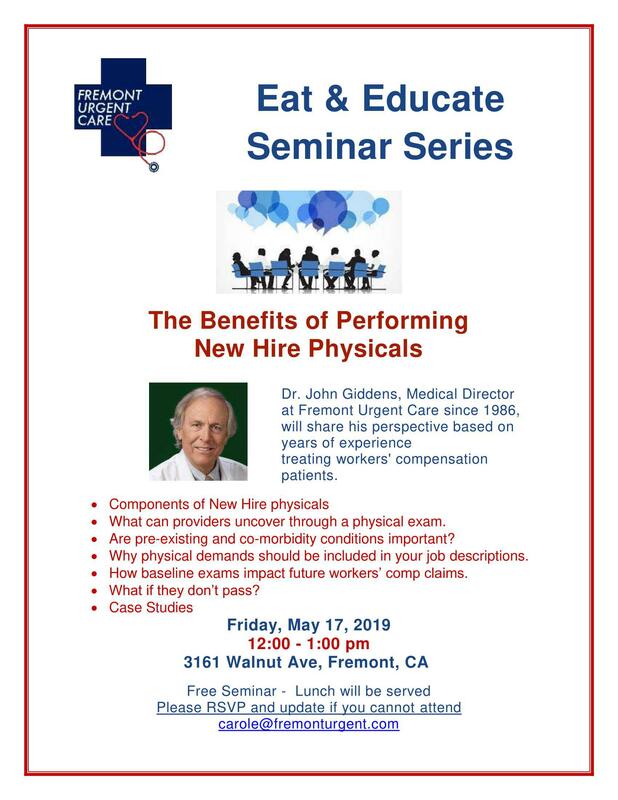 Fremont Urgent Care also offers physicals and screenings necessary for employment. Our X-Ray department is open during all clinic hours, as well as our laboratory and physical exam services. We are here to support the community and businesses seeking a partnership with their occupational medicine clinic. 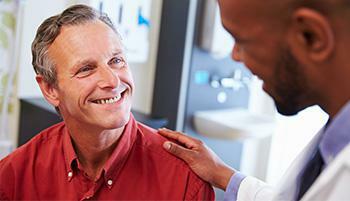 Our commitment to you is that we make your experience at Fremont Urgent Care a positive one. Fremont Urgent Care Center accepts most major insurance providers. Discount for cash payments is available as well. Insurances NOT accepted: ADMAR, American Specialty Health - Acupuncture, Healthy Families (Blue Cross), Lifeguard, Medi-Cal, any out of state insurance (call for eligibility), & any overseas insurance. "This is the best place ever I no longer live in CA but when I am in town and need a doctor I always go here." "We appreciate Dr Giddens' professionalism, thoroughness and patience and willingness to educate us on our health issues. We have found a great doctor!" "I've been coming here for about 15 years and I honestly wouldn't go anywhere else. Staff has always been wonderful and I always feels welcomed here." "Thank you Dr. Giddens for your patience with a panic mom, for your careful examination of my daughter, and for going the extra mile." "We love this place. We have always received great service and have used them for the last 5 years for ourselves and our kids. Very friendly and nurturing." "These guys are amazing. I came in on a Saturday and was in and out within an hour, had a diagnosis, as well as my prescription." "Since being injured at work, I've been at Urgent Care about once a week. The staff is very nice and professional." "Dr. Giddens is very nice and made me feel comfortable. He made me feel like he actually cared." "This doctor saved my wife's life due to his diligence. Hands down one of if not the best doctor s I've ever encountered. " "He's such an understanding Doctor. He's very kind and listens to what you have to say. I highly recommend him." "Dr.Giddens is one brightest and nicest MD's in Fremont"
"They quickly diagnosed my skin rash without making take a skin culture or wasting money on unnecessary medications"
"Came here Saturday and Monday afterwards -- people are very nice, help you figure out what's wrong. Dr. Gidden was very informative"
"We appreciate Dr Giddens' professionalism, thoroughness, patience and willingness to educate us on our health issues. We have found a great doctor!" "Staff, nurses, and doctors were all very friendly and helpful. Facility was clean, there was a lot of parking." "My work sent me here for my driver physical. I expected to be here for a couple hours, but I was out of here in hour." "Needed X-rays for my injured ankle. I was in and out of there in under 2 hours. Dr. Giddens was attentive and welcoming." "My husband had a mountain biking accident yesterday, and he is uninsured. Walking in, the receptionist was friendly and even offered to give him a bed to lay down on." "I always get good service when I come here. Im always busy and barely have time to come in.. "
"I went yesterday which was a Sunday. I received excellent care. The doctors are friendly and they listen. The doctor took his time with me." "It was great. We were in and out without a fuss. The girls there are really nice and helpful"